Kelvin T. Erickson is a professor of electrical and computer engineering at the Missouri University of Science and Technology (Missouri S&T). He has taught university courses in factory automation and PLC programming since 1991. He has taught short courses on PLC programming for engineers, technicians, and maintenance workers. Dr. Erickson received his BSEE from the University of Missouri-Rolla (now Missouri S&T) in 1978. He completed his MSEE from the same institution in 1979. He joined Fisher Controls as a design engineer in 1979. He took a two-year leave of absence from Fisher Controls to complete his PhD. He received his PhD in EE from Iowa State University in 1983. He continued to work at Fisher Controls until July 1986 when he joined the faculty of the University of Missouri-Rolla. In 1997, he spent a sabbatical working for Magnum Technology, a consulting firm, programming PLCs. 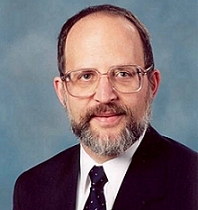 He co-authored Plantwide Process Control with John Hedrick which was published in 1999 by Wiley and Sons. His current research interests are in manufacturing automation and process control.